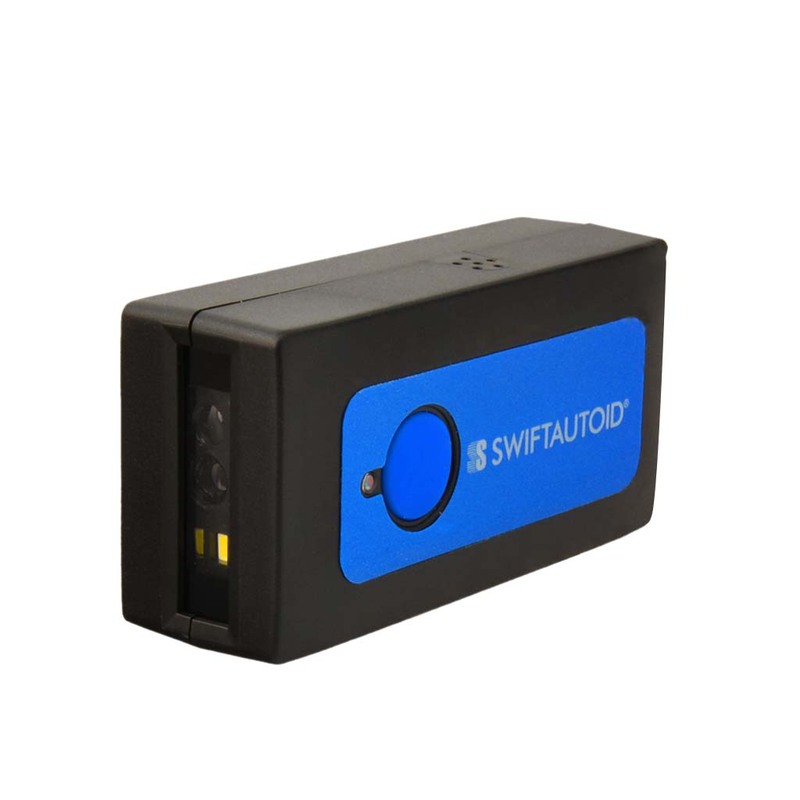 Swiftautoid SA BT170 Series is 1D Linear CCD Mini Bluetooth Pocket Barcode Scanner. It is integrated with patented 1d scan engine, which delivers quality barcode scanning and offer aggressive scanning of all standard 1D bar codes. 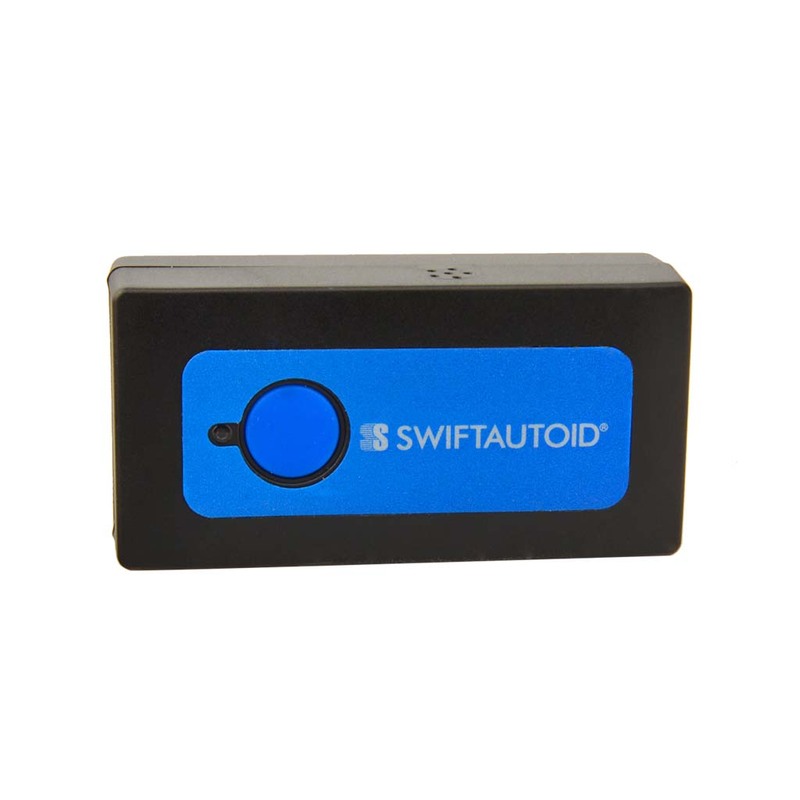 Swiftautoid SA BT170 Pocket Bluetooth Barcode Scanner support iOS-Operating system, Android, and Win 10 devices. It has the built-in 600 mAh battery for working. 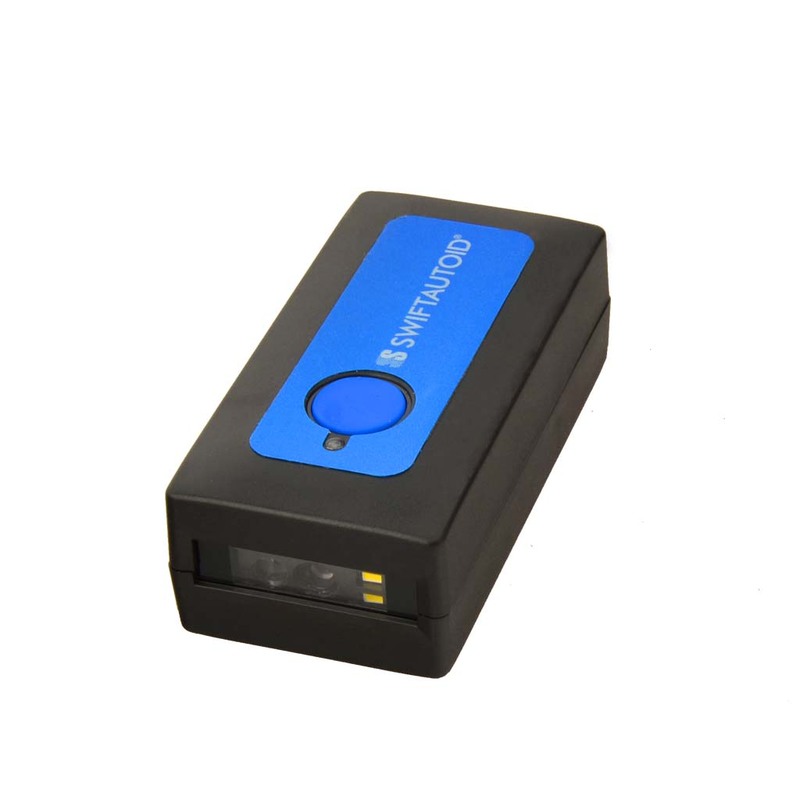 As bluetooth barcode scanner android, it is very smart and has the best portability. Its small dimension and light weight with an ergonomic user-preferred finger trigger design, which can ensures comfort and ease of use for your operators. Whether you need to scan printed bar codes on paper labels or mobile bar codes on the screen of a mobile phone, BT170 can scan any 1D standard bar code from them, especially for mobile payment, such as Alipay, Wechat, etc. 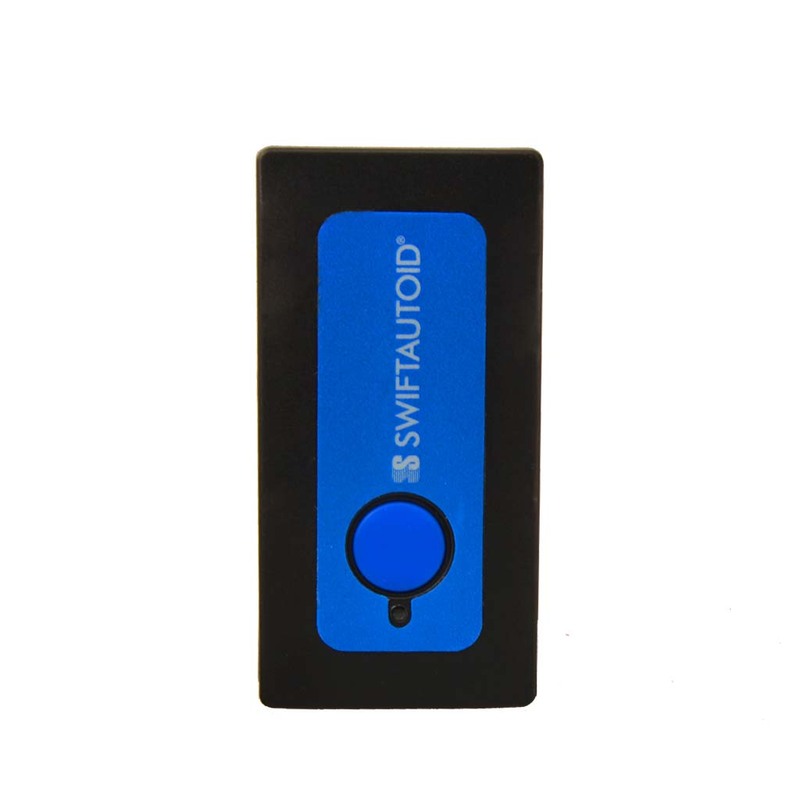 Its bluetooth 4.0 Wireless Technology supports various bluetooth protocol, such as HID, SPP, BLE, etc. 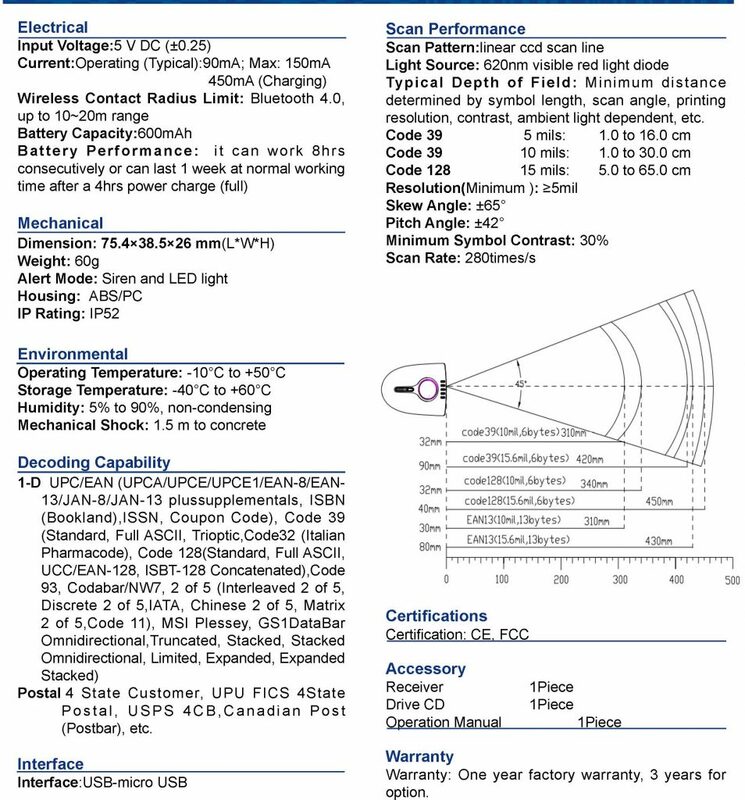 It is ideal scanner for high productivity by wireless fast data transfer. 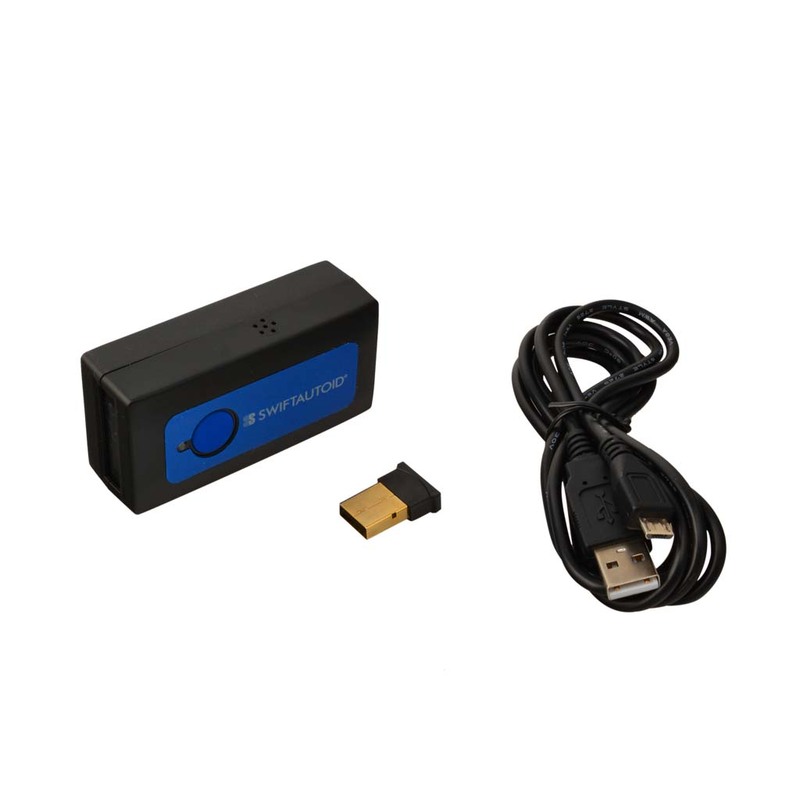 This scanner can also work with USB adapter for Desktop computer or laptop easily.